We reach the halfway point of meteorological winter this week. So far the score sheet reads El Niño 6, Old Man Winter 0. It’s a blowout. Here are some numbers at the halfway point of this winter season. +6.1F December temperatures vs. average in the Twin Cities. +9.8F January temperatures vs. average so far at Minneapolis-St. Paul International Airport. 8 of 13 days so far in January above 32 degrees. 4 days so far in January in the 40s. 11″ season to date snowfall at MSP Airport. -16″ vs. average snowfall season to date at MSP Airport. Northern Minnesota has done much better on snowfall this season. If you want to play in the snow head north where there is deep snow in the woods in the Arrowhead and along the North Shore. It’s an icy start up north today with freezing drizzle and light snow. 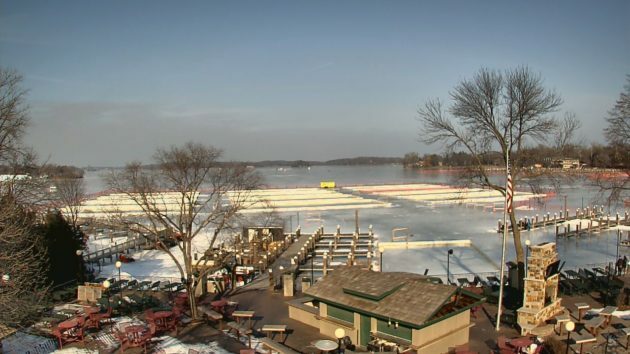 Our lack of snow cover and extended thaws have acted as a natural Zamboni on many lakes around the Twin Cities. Many of my friends report amazing multi-mile skating journeys last weekend on Lake Minnetonka. I’m stoked to see what could be the best ice conditions in years for our pond hockey event this weekend at the North American Pond Hockey Championships in Excelsior. Two cold fronts blow south through Minnesota this week. The first “average” front arrives late Tuesday. The second more potent Arctic front blows in later Thursday. The Twin Cities has the best shot at subzero temperatures this season by next weekend. One industry that’s paying close attention to climate change is insurance. How do you price rapidly changing risk models? Another hopeful sign for solar Minnesota?